Bristles are made of a stiff synthetic material that can be used with different eyebrow products including brow powder, pomade, and gel. The logo on the handle might erase with time. 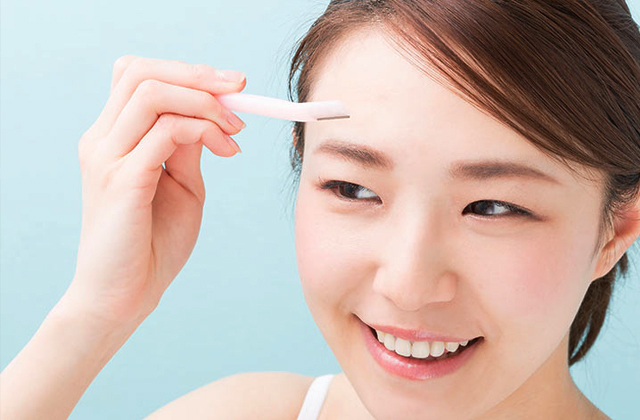 If you've always dreamt about having perfectly shaped eyebrows, you have a chance to make your dream come true using this unique Keshima Brush. Thanks to the angled tip, you'll be able to make your eyebrows look voluminous while the spoolie side of the brush will let you make natural shades. Spoolie brush is quite voluminous and wide to help you blend eyebrow pomade or gel within seconds. Some users find this brush too expensive. 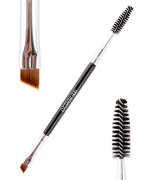 Anastasia Beverly Hills brush will meet the requirements of the most demanding users. Made of stiff and high-quality fabric, the bristles of two brushes will help you create ideally colored and groomed brows. Diamond grip handle is pleasant to touch and easy to manipulate. The handle, as well as the brushes, is easily cleaned. Might be inconvenient to use on thick eyebrows. This 3-in-1 model from Revlon is what you need to take care of your eyebrows as well as lashes. The brush is available in four more variations. Moreover, the price of Revlon brushes is wallet-friendly. Thin and stiff bristles of the angled brush allow you to apply eyebrow makeup products with the maximum precision even on thin eyebrows. Spots from cosmetics might be visible on the white handle. 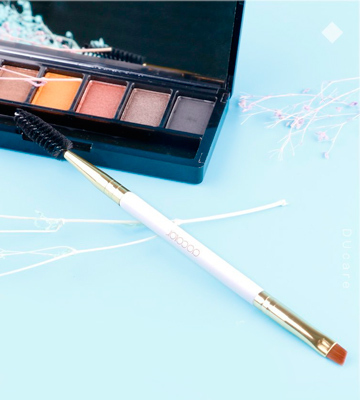 With the Duo Eyebrow Brush by Docolor at hand, making perfect eyebrows will become a matter of minutes. The manufacturer also offers you makeup kits to make your beauty rituals easier. The bristles of eyebrow brush are made of natural fabric that is not only gentle on your brows but also durable. Professionals at Maybelline New York know what you need for ideal brows and lashes, and this is the 160BCET. Natural brush for groomed brows and tiny bristles for managing clumpy mascara will make you look perfect. As you might guess, the Duo Eyebrow Brush from Keshima is a 2-in-1 tool that can help you get well-shaped eyebrows in a matter of minutes. 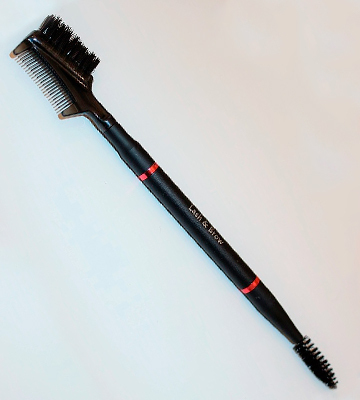 The brush is two-sided and equipped with angled and spoolie brushes. The first one is used to fill your eyebrows. It works with brow pomade, brow wax, and brow gel so you can use whichever product you prefer. Once you've colored your eyebrows, it’s time to use the spoolie brush to groom them. 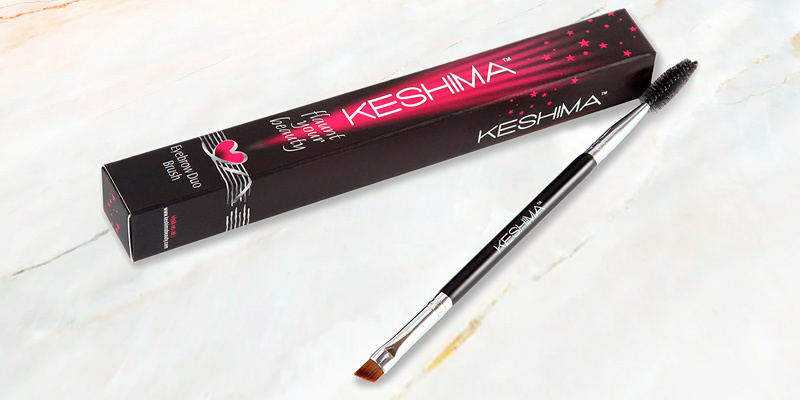 We’d like to point out that the Keshima brush has AAA synthetic bristles that provide great eyebrow filling and are also firm enough to handle even thick and unruly brow hair. The handle is made of wood, yet it is lightweight so you won’t feel any discomfort even if you spend a lot of time on making your eyebrows. What we liked about the Keshima Duo brush is that it is easily cleaned. All you need to do to keep its proper condition is use mild soap and warm water to remove remains of cosmetics from the brush. It isn’t necessary to clean the brush after every use if you apply the same cosmetics all the time. But even if you wash the brush often, it will not affect its quality – the Duo brush will be as good as new even in months of active use. The Anastasia Beverly Hills eyebrow brush is what you need if quality and manufacturer’s experience are your priorities. 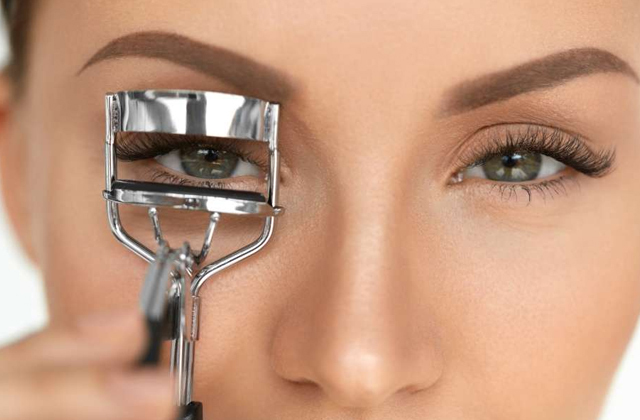 Having been on the market for years, beauty professionals from Anastasia Beverly Hills know what you need to look perfect every day. The brush reviewed here is a two-sided model that combines angled and spoolie brushes. The slanted brush perfectly handles brow products application through your brows while the spoolie one helps you blend eyebrow filler in the twinkling of an eye. This brush will definitely come to your liking if you have thick brow hairs since its synthetic bristles are quite stiff. In addition to being functional and able to handle even bushy eyebrows, the brush from Anastasia Beverly Hills will please you with its design. Once you take a look at this model, you understand that it’s extremely stylish. 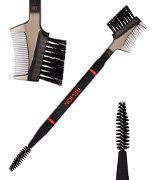 The brush has a black plastic handle with silver logo. Bristles on both brushes are also black. 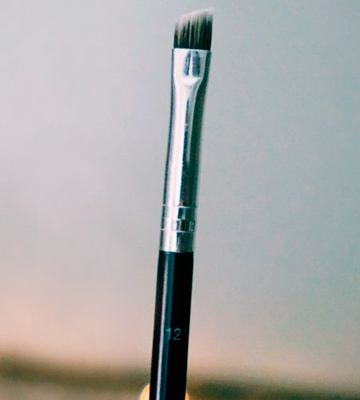 Although it’s common color for spoolie brushes, only a few angled brushes are colored black. 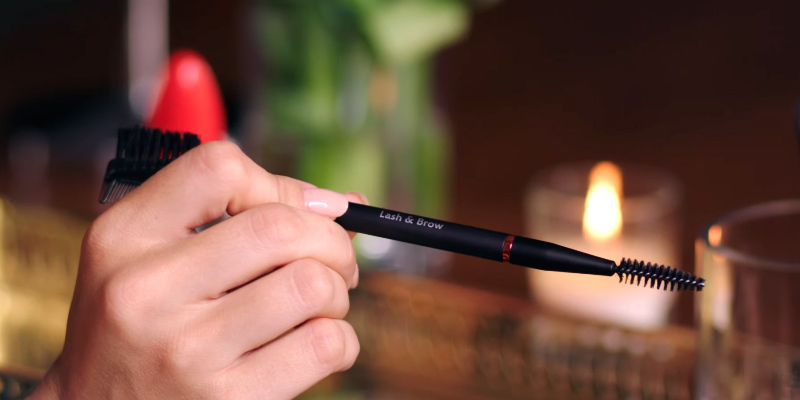 Choose this compact, lightweight, and high-quality 2-in-1 brush from Anastasia Beverly Hills and you’ll be able to make perfect eyebrows in the comfort of your home as well as on the go. The eyebrow brush by Revlon can offer you more than you might expect from a usual brow brush. 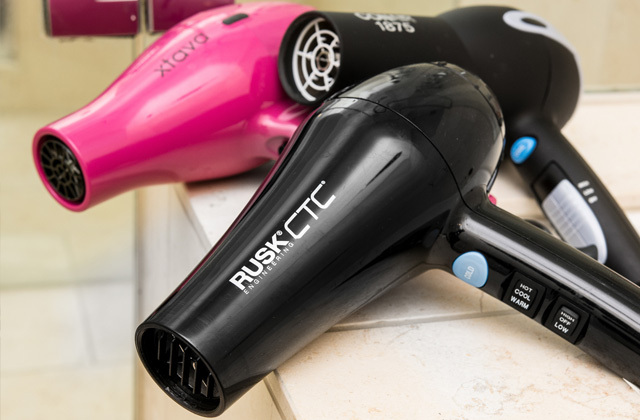 The first thing that differs this model from the majority of its rivals is that it is 3-in-1 brush. 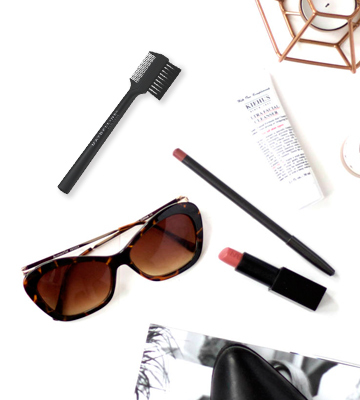 Once you unpack your new beauty tool, you’ll see that it is a spoolie brush, brow brush, and a comb for lashes. Some users might find it inconvenient that there is no angled brush but this slight drawback shouldn’t spoil your impression on this multifunctional brush. A brow brush, as well as a spoolie one, can be used to smooth eyebrow filling and get the maximum natural color. 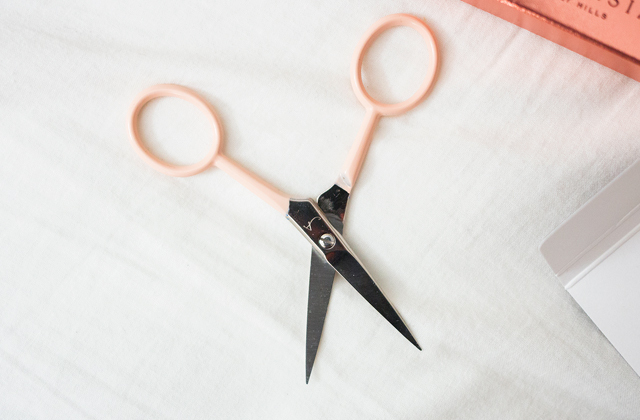 Spoolie will also come in handy if you need to cut your eyebrows. 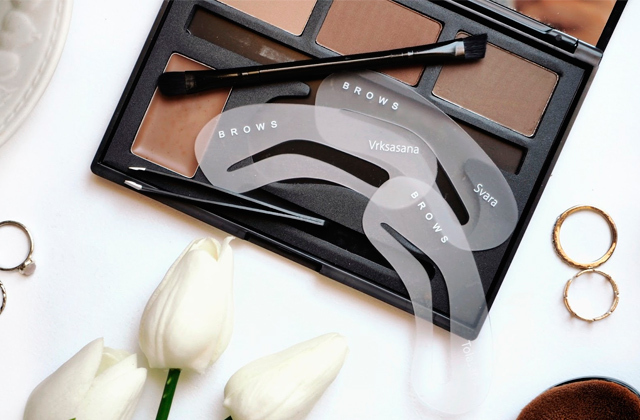 With the help of this brush, you can determine how much of brow length you need to remove. Pay attention to the comb using which you’ll be able to re-clump mascara, thus, provide your lashes with a natural and beautiful look at the same time. Finally, we’d like to mention that the brush is easily cleaned and has a handle that is extremely convenient to grip. One more thing you’ll like about the Revlon eyebrow brush is its price. 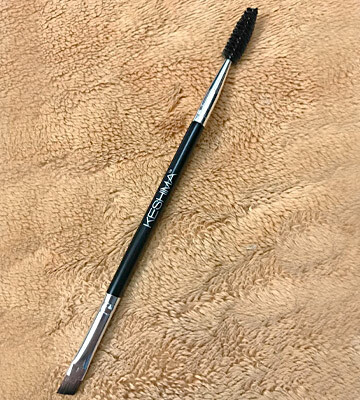 Costing several dollars less than other models from world-renowned brands, this brush is a real catch for those who want to have perfect brows and lashes. Don’t hesitate to choose the Revlon eyebrow brush and try all of its benefits out for yourself. 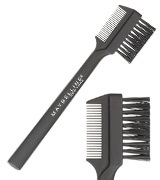 Are you looking for the best angled eyebrow brush and spoolie brush in one tool for a reasonable price? Then, it’s time to try this 2-in-1 brush from Docolor. 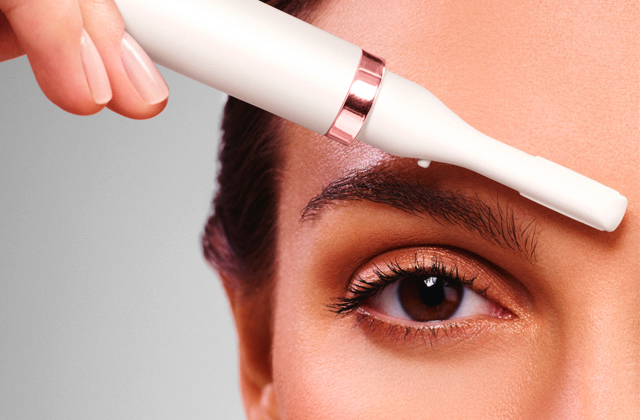 With this duo brush at hand, creating eyebrows of your dream is the easiest thing ever. You only need to take two steps. 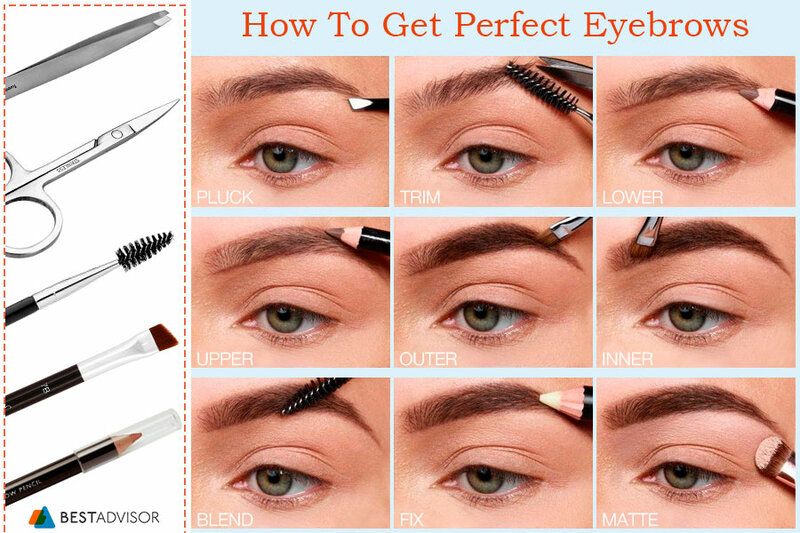 First of all, apply eyebrow filling (the one you like, be it brow pomade or brow gel) with the angled brush. Its bristles are stiff so you’ll define your eyebrows with the maximum precision. If you don’t use pomades or gels, you can use your favorite pencil to color eyebrows and take the next step that is blending eyebrow filling. 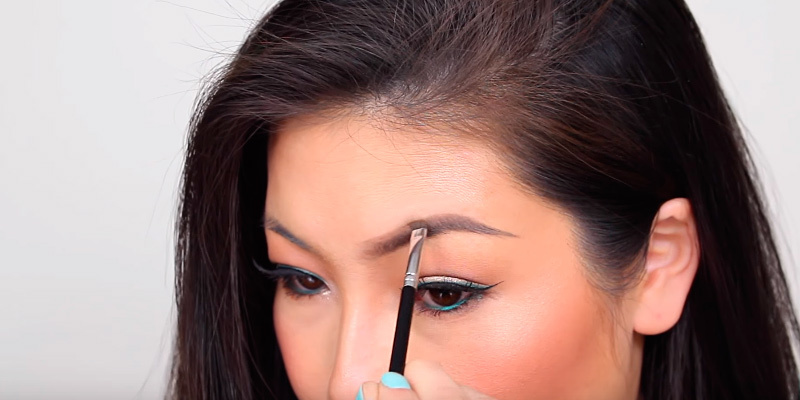 To do this, use the spoolie brush and “comb” your eyebrows upwards. 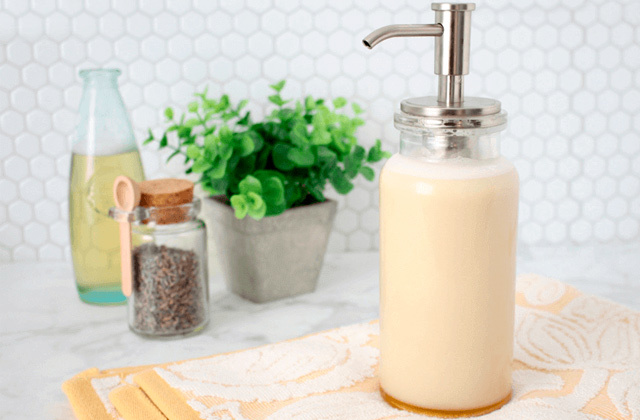 Take notice of the wooden handle with a white finish that is easy on the eye and convenient to grip at the same time. One more advantage of the Docolor brush is that it comes in a box so you can be sure the bristles aren’t bent. Moreover, you can use this box when you need to take the brush with you. 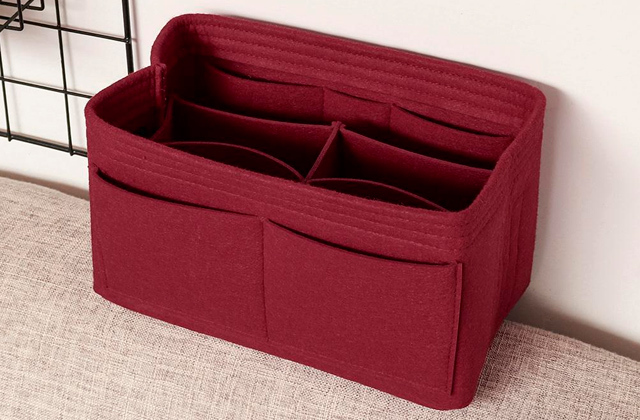 Take it to work, to the gym, on a business trip and look perfect wherever you are. Choose the Docolor brush and let yourself look perfect every day. If you aren’t satisfied with the brush, the manufacturer promises you 30-day money-back guarantee. If you’ve tried dozens of different brushes for eyebrows and still couldn’t find the one that meets your very needs, consider Maybelline products. Being one of the leading beauty companies known all over the world, Maybelline can offer you the best tools and cosmetics you’re looking for. The first thing that catches your eye when you take a look at this eyebrow brush from Maybelline is its design. 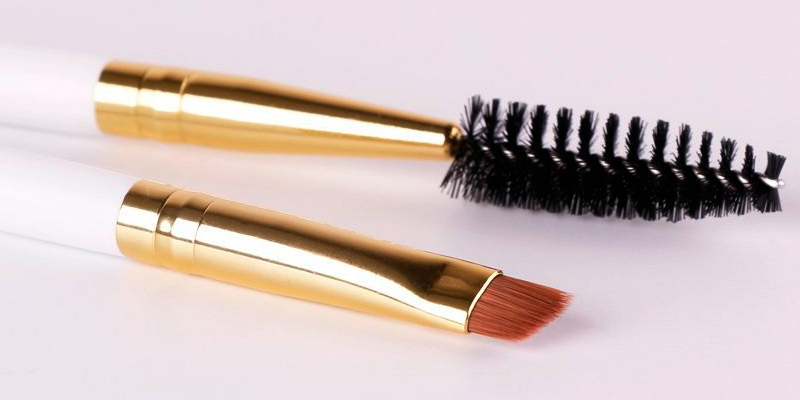 It is a 2-in-1 brush but unlike its other double rivals, it has two brushes on one side which are brow brush and comb for eyelashes. One more thing that differs the Maybelline brush from the majority of other instruments for eyebrow make-up is the material of its bristles. The bristles are made of 100% natural fiber that is believed to be a bit better than synthetic one. In addition to being more durable and long-lasting, brushes with natural bristles make eyebrow filling application and blending easier. 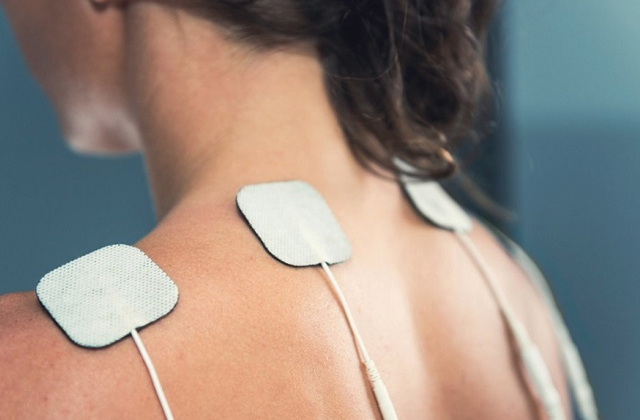 What’s more important, they don’t cause allergies and skin irritation. As for comb for lashes, it will become your irreplaceable assistant if you often face the problem of clumpy lashes after you put mascara on. Just comb your eyelashes with tiny plastic bristles for a couple of times and your eyes will be perfect. What Is an Eyebrow Brush? The name of eyebrow brushes implies that these are the instruments you need to use to shape your brows by brushing them. It’s true, on the one hand. However, on the other hand, modern beauty market is full of brushes that are made of various materials, come in different shapes and sizes, and serve different purposes. 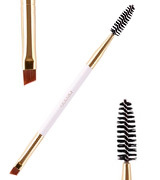 Thus, you can find not only a brush but also a comb and a brow filler applicator. More often than not, manufacturers create eyebrow brushes as two-in-one models to make them more functional. But before deciding on which brush you want to buy, define the purpose you need the brush for. 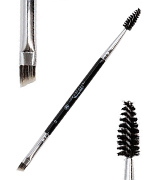 An angled (also known as slanted) brush is created to apply brow filler. 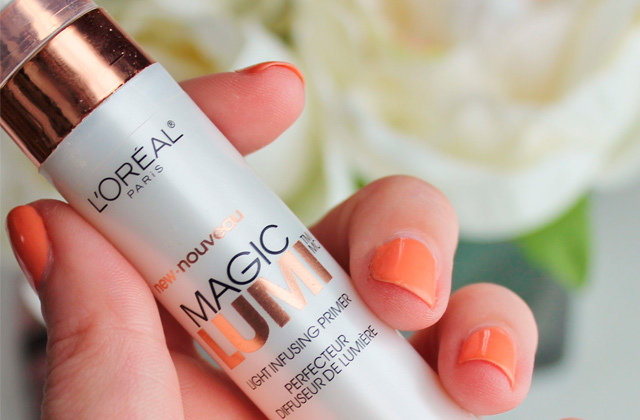 As a rule, it works with different fillers including brow wax, gel, and pomade. Spoolie is a great tool to blend the filler and shape your brows. 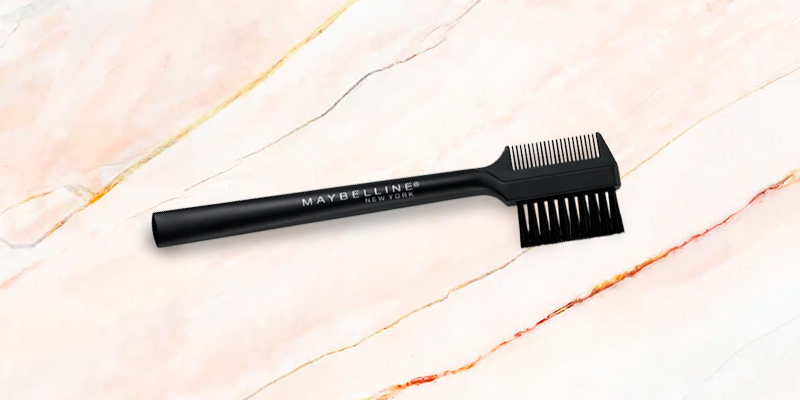 Finally, a mascara comb can be used to brush through your brows as well as your lashes. Don’t overlook the material of brush bristles, too. Although both natural and synthetic bristles do their job well, natural ones are considered to be easier to use and longer to last. So, are you ready to dive into the world of beauty and find the best brush for eyebrows? Then, scroll down. 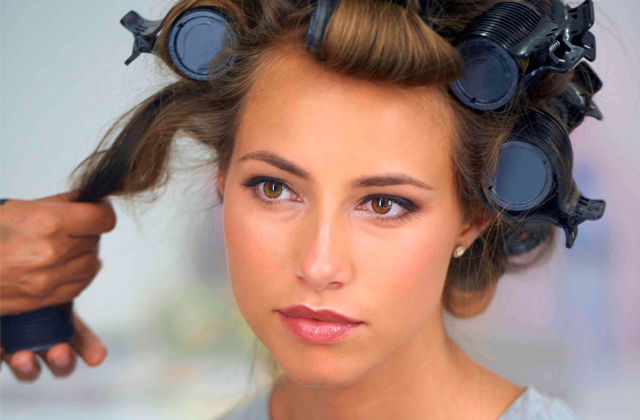 A face brush is another tool that can become your irreplaceable beauty assistant. 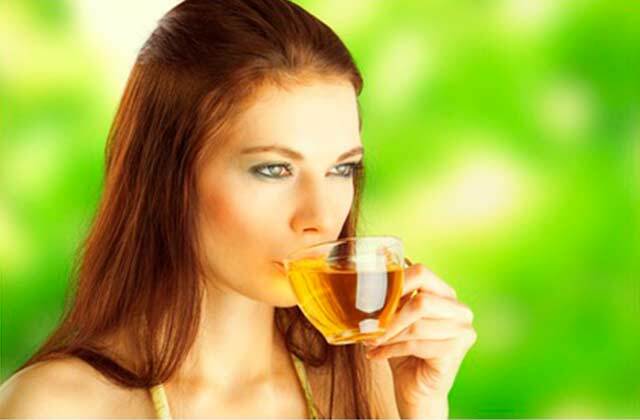 Look through the models we’ve picked for you and let you complexion be healthy and beautiful. 1. How to Use a Brow Brush, wikiHow. 2. How do I Choose the Best Eyebrow Brush? wiseGEEK. 3. Carly Cardellino 13 Things You Need to Know to Get Flawless Eyebrows, COSMOPOLITAN. October 2, 2014. 4. Chloe Campbell A Step-by-Step Guide to Perfectly Defined Brows! Hello Giggles. February 13, 2016.